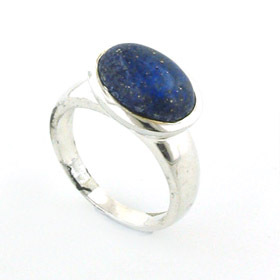 Ethnic lapis lazuli and sterling silver ring. 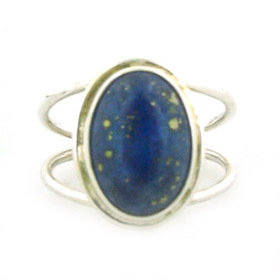 The shaped deep sterling silver band is flattering on the finger and comfortable to wear. 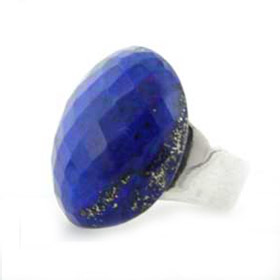 The marquise shaped lapis lazuli in this ring makes its chunkiness elegant. 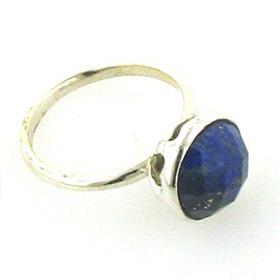 Choose your size for this lapis lazuli silver ring from the drop down menu. We give the UK sizes and the equivalent USA sizes. 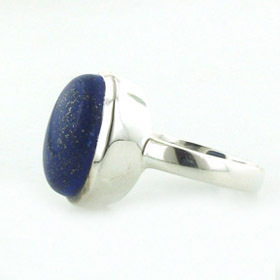 All our lapis lazuli jewellery uses natural lapis lazuli.